Unit #1, 5422 - 176 Street in Surrey (a suburb of Vancouver) on the south west coast of beautiful British Columbia. 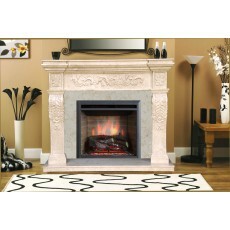 We service the surrounding area and ship our custom mantels all around the world! How does our measurement/program work? Decide the type of finish you would like. (double primed, prepped, sanded and finished or natural wood stain finish in maple, oak, cherry or? ). Try to provide us with a photograph or drawing if possible, by email. 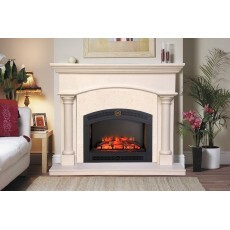 Hazelmere will then build a mantel to your specifications and have it shipped to your address- lead time depends on current workload queue, generally it's about 3-4 weeks . 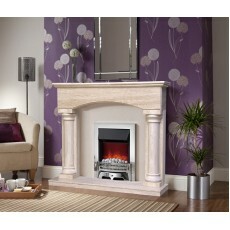 The key to building your mantel is the fireplace opening width and height. 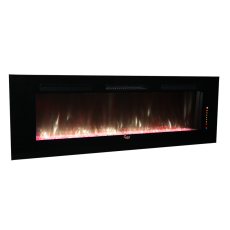 The opening size is determined by two things; aesthetics and building code or manufacturers' requirements for adequate clearance from the edge of the fireplace to a combustible mantel. 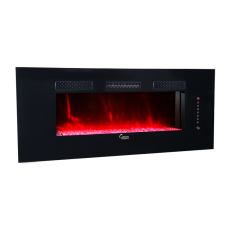 We want to avoid covering any switches or fixtures, or encroaching on any windows, near the fireplace. Please let us know where they are located so we may take them into consideration. 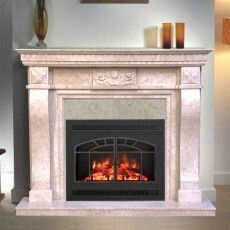 Mantels that receive a paint finish are constructed of a high quality plywood and wood or fiberboard moldings. Fiber board is made from wood fiber (it's not particle board!) 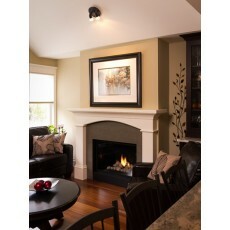 and it is now the standard in the industry for painted wood products including kitchen cabinet doors and mantels. Once sealed, fiber board is much less susceptible to warpage than wood, and superior paint finishes can be achieved. Using fiber board is also more environmentally friendly than using solid wood. 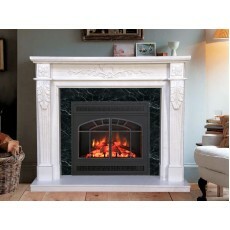 How are Hazelmere Fireplace & Mantels finished? Mantels to be painted first have a double prime coat then our top quality two-part, post-catalysed lacquer paint and superior finish. Mantels that are stained or natural are also sealed, sanded, and finished again with a superior lacquer finish to protect them for a very long time.